Imagine, if you will, that the classic scene in The Empire Strikes Back actually played out like this, "Luke, I am your Mother!" Whoa! Now that would have shocked 1980 audiences. It didn't actually play out that way, and Vader was never revealed to secretly be a woman, but who knows what he could have been hiding under all that space-y, high tech armor. 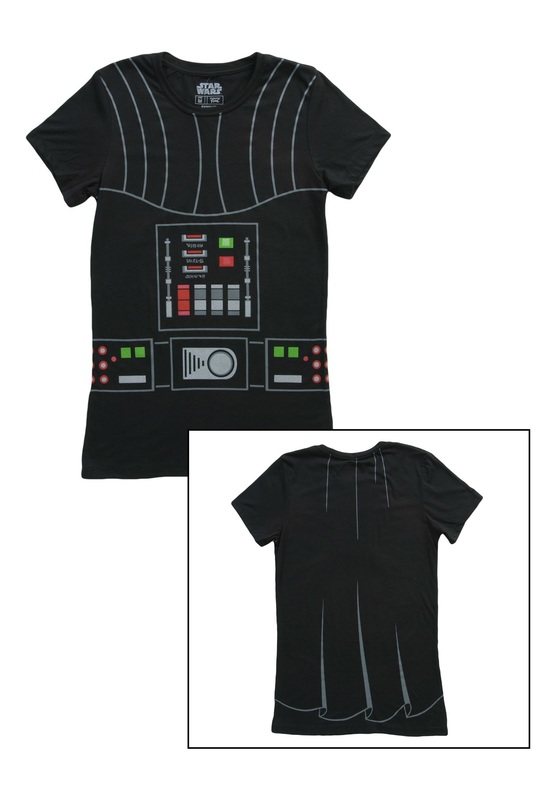 This is all a lead in to discuss this Darth Vader t-shirt for women! Just because the Dark Lord of the Sith was a dude, doesn't mean you can't step into his shoes (or boots) for a night. Our Women's Darth Vader tee is a great item to go with for Halloween or your next Star Wars convention like Celebration or Star Wars Weekends. There's nothing wrong with giving the dark side a go, especially for a special occasion. But if you start getting the urge to use force lightning to heat up some tea, you've been wearing this shirt too long and you should take it off immediately! Go back to the light side.